I’ve managed to stop doing the Charleston long enough to catch my breath so we can chat about my my 1920s TBR shelf. You will probably note that my shelves are devoid of many of the august books of the 20s which is mainly due to the fact that I have already read most of those. The Abbott was a vintage find of which I have no knowledge and the Hesse is far too enticing to pass up. I think I may have actually read it when I was on a Hesse binge in college, but that was before I started keeping track. I’ve already read Vera this year so 1921 is complete. There is much here I would like to read, including Ulysses. I had sworn off Joyce until I read The Dead. Then I read a bit of Ulysses and thought “Hmm, that is way more readable than I thought.” But I won’t be reading it this year, I’ve already read Wharton’s A Son at the Front. Let’s just be honest, it’s going to be the Benson or the Stevenson. I have tons of Benson on my TBR and quite a bit but much less of Stevenson. Both are likely to be comfort reads so this should be a cozy year to read. I really liked Hall’s The Well of Loneliness because it is still so relevant and so ahead of its time in content. Her writing, on the other hand is a bit tortured at times. And the Sackville-West is about 3 pages long. Still, it’s up in the air. I thought I had sworn off Ivy Compton-Burnett, but then I found a nice edition of this short work and thought I would give it another go. Less likely to read Benson’s Mother as it is literally about his mother. This is Shute’s first novel and one of the few I haven’t read. I think it is going to take the prize. I know nothing about the Walpole and I’ve loved all the Crompton’s I’ve read. On the other hand, Walpole is taking up a fair amount of space and I have had it for a long time. It might be time to move it along one way or the other. The Shepherd is part of an omnibus that I am not sure I want to commit to. I enjoyed Nella Larsen’s Passing and she might be the only person of color that I have in the 1920s. On the other hand I have never read any Glaspell and am very curious to understand what she is all about. Although there is much that attracts me here, I think I might go for one of the Colettes. I want to know if they are like the Claudine books, which I hated, or more like The Ripening Seed, which I loved. The most promising book of the lot is the Nevil Shute. A Town Like Alice was wonderful. However tempting it may be to get the Walpole off your shelf, I’ve got to pitch for Leadon Hill. It remains probably my favourite Crompton book I’ve read so far and manages to be unsettling without being over the top. Love, love, love it. It’s that kind of conundrum that I worry about. By the end of the year I will have read a million old faves (Crompton, Shute, Stevenson, etc.) and ignore authors who are new to me. However, I will probably take your advice on this one. Hello! I’m slowly returning to blogging and this seems like a nice way to ease myself into challenges. I’ll likely only do the decades. Welcome back. Good luck with your challenge. Definitely on the fence still about 1928. I have Glaspell in other years so Nella Larsen might get bumped up to the top spot. I’m also having a running conversation with myself about how effective I could/should be about spreading out authors with multiple titles. It’s a bit of a puzzle. What fun! From your 1920s piles, I think my favourite is The Heir. And somehow I haven’t read Leadon Hill – I’ll need to see which 1920s years I’ve got without pencilled books in them. 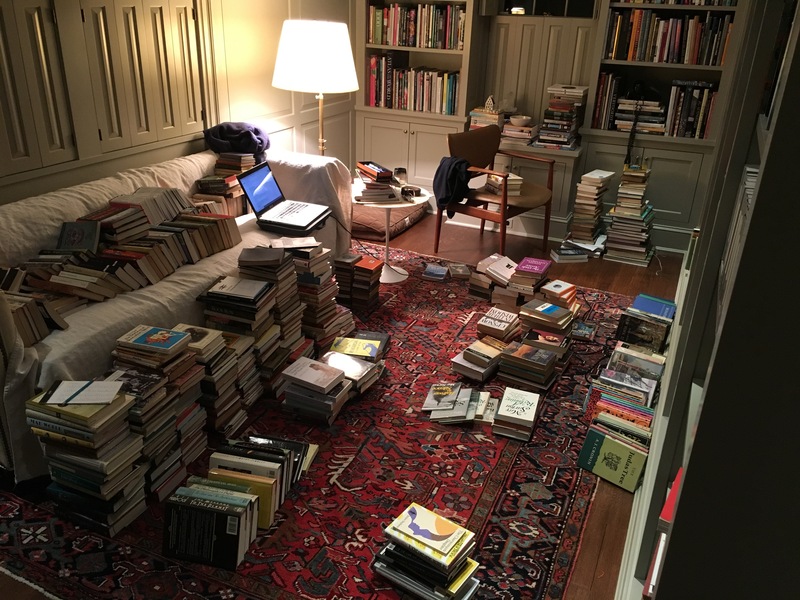 Simon, I would love to organize all of your TBR into chron order. The wonders one would find.